I received the product for free from Best Buy. All opinions and love of Facebook Portal are my own. 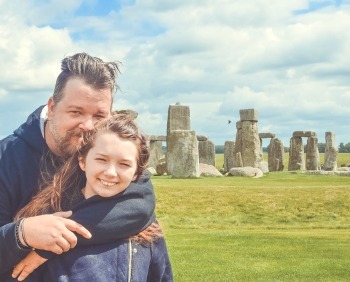 In this age of social media and technology, we can sometimes lose the all important “human connection”. I know that messaging with my friends doesn’t always feel complete, especially when I have something important to talk about. Now, you can get a more personal experience from the video chat on the new Facebook Portal. You must have a Facebook account to use the product. 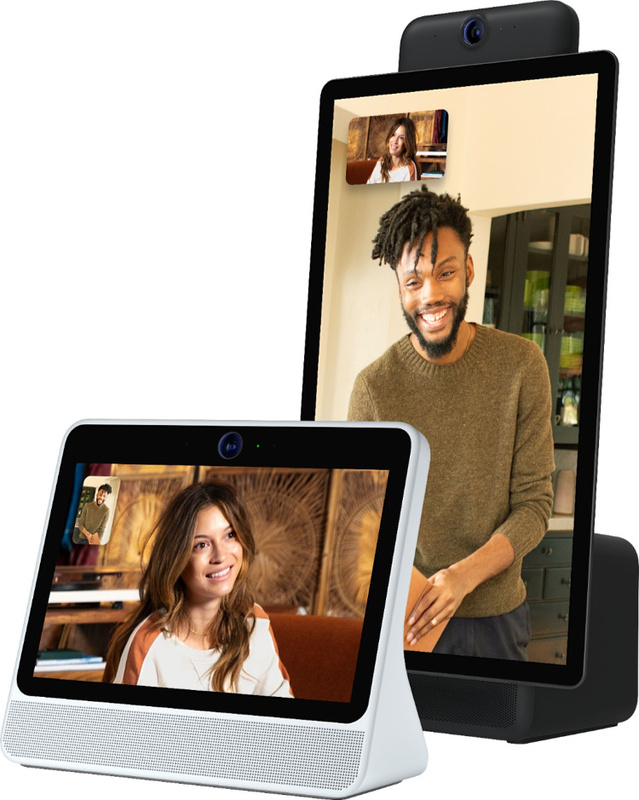 The new Facebook Portal lets you connect via video much more frequently and naturally than what is possible with existing video chat technology. One of my best friends has recently moved to Montana, I tried to get him the Portal by Thanksgiving, but he was travelling. I’m sending it to him as an early Holiday gift. We love playing our guitars while we video chat and the Facebook Portal is going to help elevate our jam sessions! 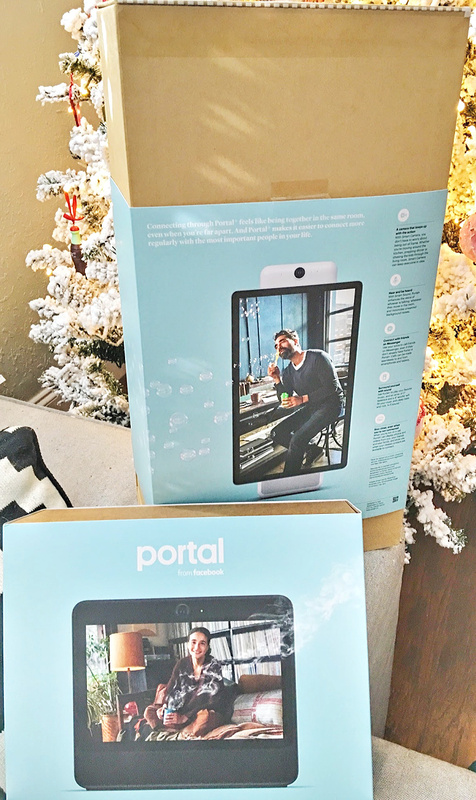 Facebook Portal is a home video communication device that will make it easier to connect more regularly with the most important people in your life. You’ll be able to share the little everyday moments that relationships are built on. By connecting through Portal, it feels less like being on a video call and more like being with each other in the same room… Even when you’re miles apart!! With the Smart Camera, you don’t have to worry about being out of frame. 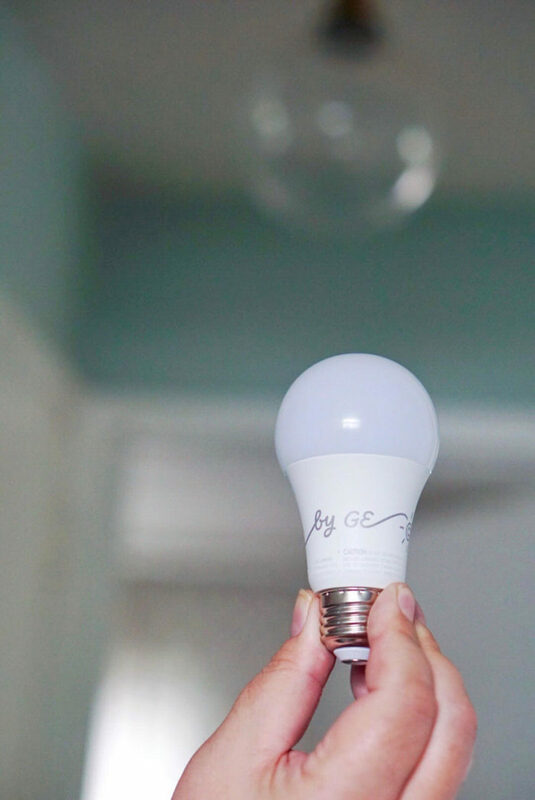 Whether you’re moving around the living room, making dinner or jamming on the guitar with your buddy, the Smart Camera will adjust to follow the action. Also, Facebook doesn’t listen to, view or keep the contents of your Portal video calls. Calls on Portal are completely encrypted, so your conversations are between you and those you’re calling. You can also disable the camera and microphone with a single tap or block the camera lens with the provided camera cover. Facebook Portal is the video calling device that I have been waiting for. I recommend picking two up and if you click here you will get $100 of the purchase of both Portals. I received compensation for this post. All opinions of the Whirlpool Convection Over-the-Range Microwave are my own. I remember when microwaves became a”thing”. They went from being in no houses to being in EVERY house. Now, most of us couldn’t imagine our kitchen without one. But, other than some new finishes or sizes, microwaves haven’t come a long way in the last decade. Now, modern tech has been used to create the Whirlpool Convection Over-the-Range Microwave. 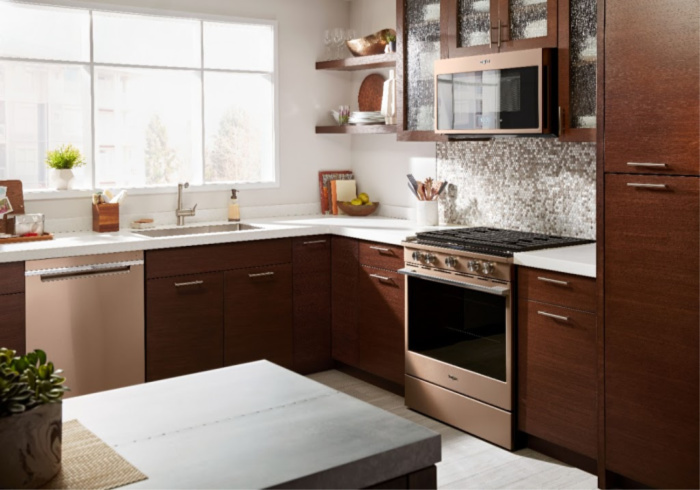 I know, a new microwave doesn’t sound that exciting, but the Whirlpool Convection Over-the-Range Microwave is a must for everyone that loves the newest, most modern appliances in their house. You will get the right settings every time. When you scan a frozen food barcode with your smartphone or tablet, then send recommended or customized cooking instructions straight to your microwave for dinner done just the way your family wants it. You can customize recipes for a customized experience! The touchscreen on the Smart Microwave learns, adapts and suggests customized presets based on you and your family’s routines. This amazing system tracks preferences so it can learn family favorites. It will learn what families cook, when they cook and how they cook. 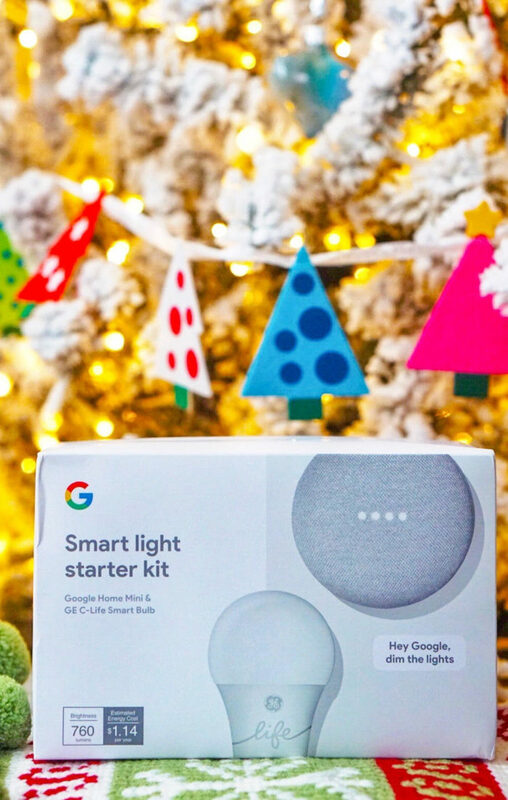 Enjoy mealtime flexibility and control your appliances from any room in your home, managing mealtime with the click of a button to make holiday cooking and entertaining smarter, and easier. Just make sure you’re not cooking anything when no one is home… THAT’S A BIG NO!! Also, WiFi & App are required and features are subject to change. For more details and privacy info go to whirlpool.com/connect. Last, but not least, appliances must be set to Remote Enable. These days, the sound bar has become a go to accessory for most homes. Whether dad uses it to watch his favorite sports team or the kids use it to watch a scary movie when their having a sleepover… Sound bars have become one of the most popular pieces of tech you can buy. 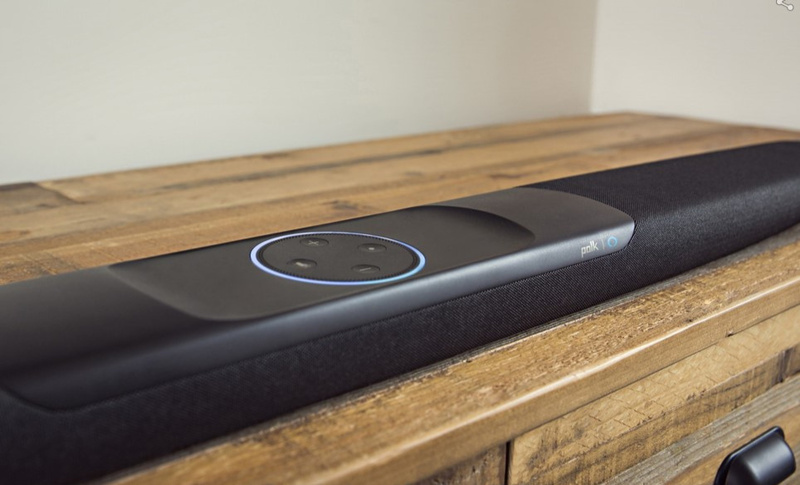 One of the newest ones has hit the market and this is my Polk Command Sound Bar Review. There are so many sound bars out there, it’s hard to distinguish which one might be right for you. 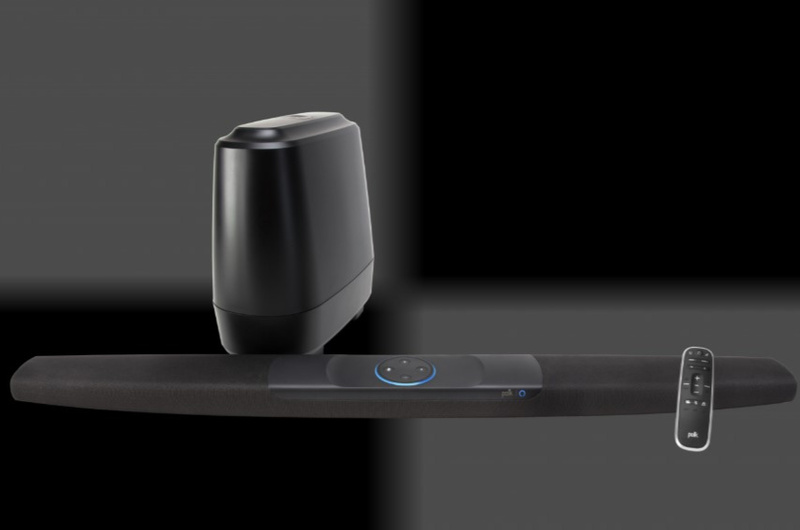 Here are a few of the things that I really liked about the Polk Command Sound Bar. Built-in Amazon Alexa – A must these days! Easily control, monitor and schedule your electronics using your voice. 260W total output power – Provides amazing sound for your favorite movies, shows, games and music. Performance-tuned driver array, wireless subwoofer and Dolby/DTS surround sound decoding – I want to watch my favorite movies in style in an immersive, room-filling home theater experience. Bluetooth music streaming – Makes it easy to enjoy tracks stored on a compatible Bluetooth-enabled device (not included). Sleek appearance – Fits seamlessly along most HDTVs for a modern, streamlined look. Universal Compatibility – Included High-Speed HDMI and Optical cables ensure quick and easy setup and the low-profile 2″ design won’t block your TV’s screen. Fire TV Compatible – I don’t use Fire, but it does have HDMI ports designed and spaced to fit Fire TV and other wide HDMI streaming devices. Built-in USB port also powers original and 4K versions of Fire TV (where Fire TV is available). 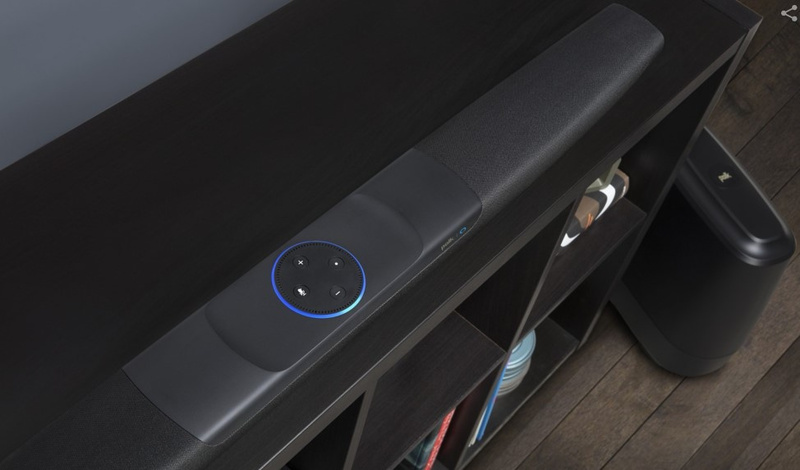 The Polk Command Sound Bar is a the perfect soundbar for anyone who is wanting to take their home entertainment watching to the next level. 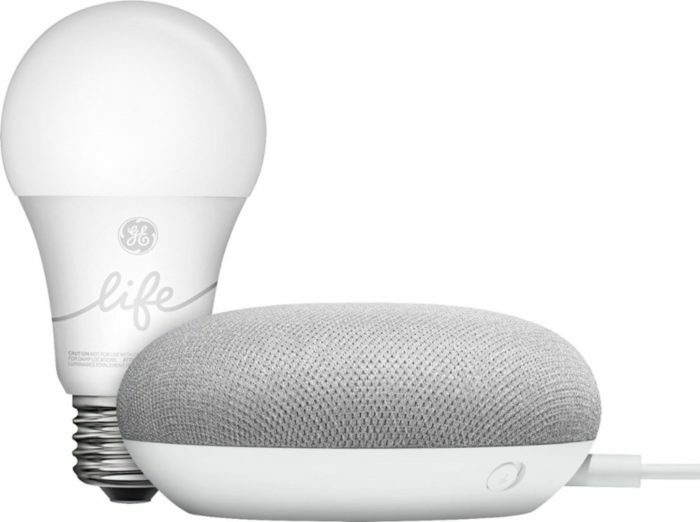 It has a lot of great features that are going to give you an immersive experience, but also offer you other versatile options. I’m a big fan of the Polk Command Sound Bar and I would recommend it to anyone who is looking for a new sound bar. The reviewer has been compensated in the form of a Best Buy Gift Card and/or received the product/service at a reduced price or for free. all opinions in the Polk Command Sound Bar Review are my own. When I travel, listening to my music playlists can set me up for a great day. But, I always try to be careful. I don’t want to be rude to the people around me (Especially when I’m flying). Not everyone shares my taste in music and most people don’t appreciate it being hoisted on them. The headphones I’ve owned in the past claimed to be “noise cancelling” and I still got the obligatory tap on the shoulder to turn my music down. At that point, the volume is so low, I might as well not be listening to anything. I think I solved my problem… Sony Noise Canceling Headphones. With these bad boys, I don’t have to worry about offending anyone around me and I can enjoy my music just the way I like it – LOUD! Sony is breaking the mold so that you can further immerse yourself in your favorite music. These headphones have a proprietary noise cancellation processor, quick charge capabilities, and a new comfortable design. It also has up to 30 hours of battery life and the quick charging gives five hours of playback with just a 10-minute charge. Here are the Sony Noise Canceling Headphones Specs. 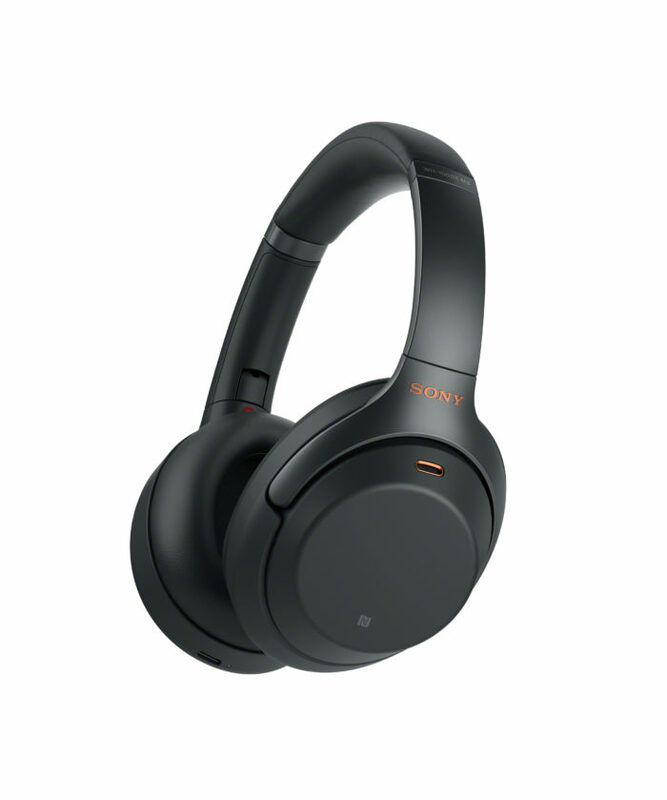 Industry-leading noise canceling: Sony’s proprietary HD Noise Canceling Processor QN1 brings the WH-1000XM3 to the pinnacle of noise cancellation. Premium Sound: The 40mm drivers with Liquid Crystal Polymer (LCP) diaphragms are Hi-Res Audio compatible, reproducing a full range of frequencies. 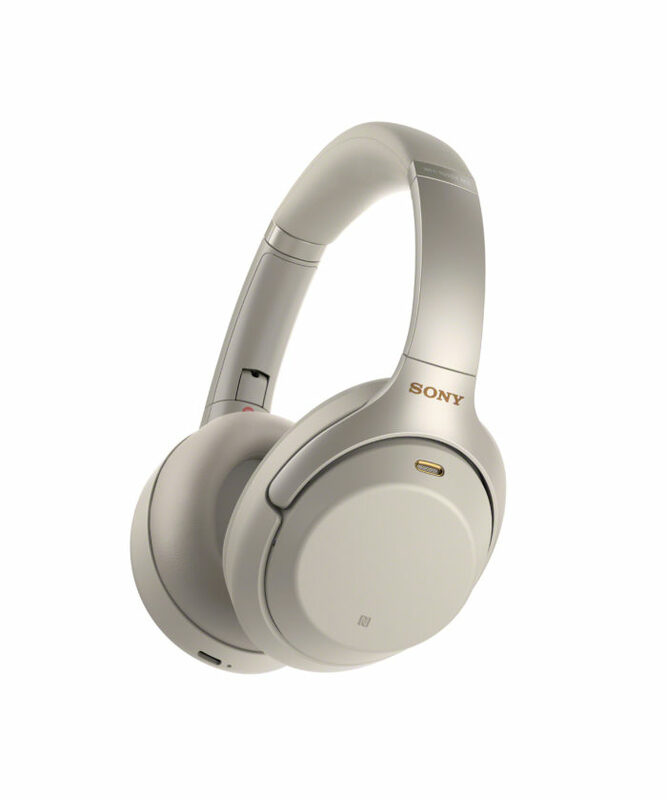 If you’re a music lover and want crystal clear, noise cancelling, turn it up to 11 headphones – The Sony Noise Canceling WH-1000XM3 Headphones are exactly what you need! You Can Find The New Sony Noise Canceling Headphones At Best Buy Right Now!! !